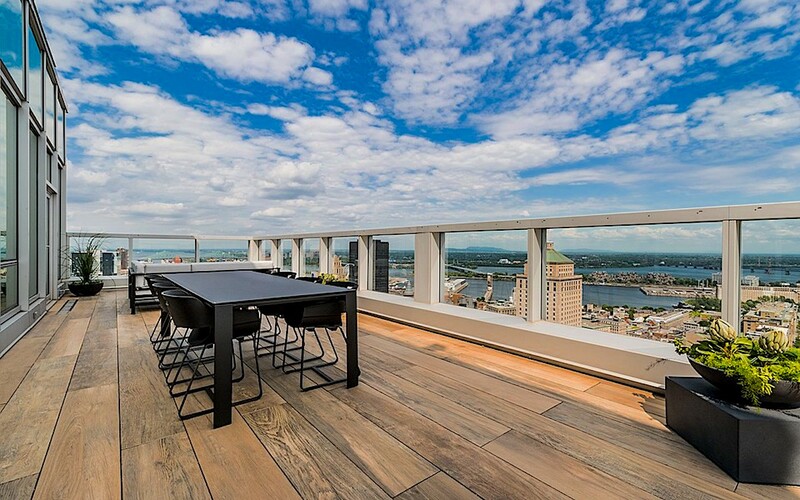 This luxury condo towering in the Montreal sky has one of the best views in the country. That view has been exploited even more with a gracious 1,100 square feet of outdoor space which makes for a perfect place to dine al fresco. This gorgeous condo has plenty of room with six bedrooms and bath over 5,600 square feet. You’re in the heart of Old Montreal here and this is unit is unlike anything else for sale right now in Canada. It’s currently on the market for $6,331,811 CAD and it’s listed with Joseph Montanaro of Sotheby’s.